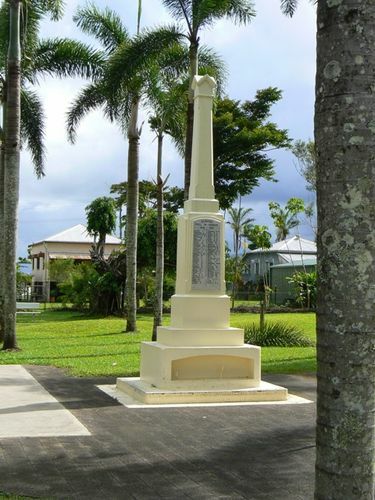 The War Memorial commemorates those who served in World War One. 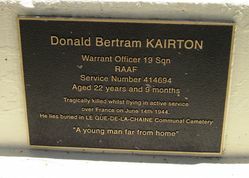 A plaque has been added to the memorial to commemorate Doanld Kairton who was killed in action during World War Two. 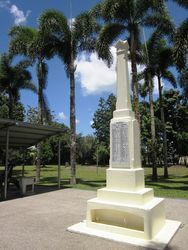 The memorial was unveiled by the Chairman of the Cairns Shire Council, Councillor S. Warner on the 25th April 1927. The total cost of the memorial was £100. After the unveiling ceremony the huge crowd adjourned to Beattie's Theatre for the commemoration programme. 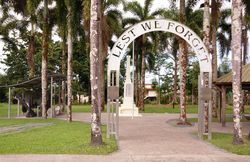 At the meeting a resolution had been handed to the President of the Committee, Mr Evans, requesting " that ANZAC Day be declared a public holiday throughout the State." Cairns Post (QLD), 27th April 1927.
over France on June 14th 1944. "A young man far from home"